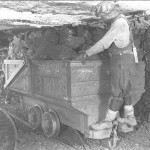 As your kids dig into Utah mining, don’t forget to describe what life was like for a miner. It definitely wasn’t easy! Have you ever heard the song, “Sixteen Tons“, by Merle Travis? It’s an oldie, but a goodie. But did you ever connect it with Utah mining? If not, here’s an eye opening experience! Some would say the mining pay wasn’t bad, and it generally wasn’t. But if it was, say, an immigrant with his family who came looking for a job, well, that was a different story. By the time immigrants came to town, they were just about out of everything from their long voyage, and were in desperate need of new supplies. 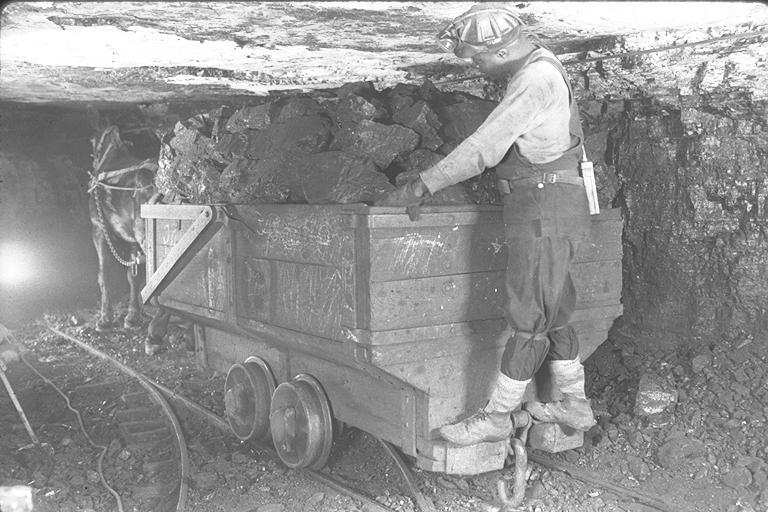 They needed food, clothes, shoes, and of course they needed tools to work in the mines. The coal company-owned Company Store would give them all these things and more, including assigning his family a house to live in. The father would go off to the mines, and when pay day came, he would see a big deduction in his check from all the things the Company Store lent him and his family to start out their life in Utah. Often times, their pay would not be enough to cover what they owed, and they would be indebted to the Company Store. Well, by that time, the family was in need of new food, supplies, etc. to sustain them for the next month, and the cycle would start all over again! It was not uncommon for families to constantly be in debt to the company store. Oh, and most coal companies had their own money system, and forbid workers from making purchases anywhere other than the Company Store. Quite the monopoly! Thus we have the song, “Sixteen Tons” by Merle Travis. The most popular version of the song, however, was not by Travis, but by Ernie Ford. After explaining the role of the Company Store to your students, play this song for them. They’ll never think about this song the same way again (that is…if they’ve heard it at all)! If you don’t have this song, you can preview and download the MP3 from Amazon .